Print design and colour correction. Creating brand, graphic design and print materials to reflect the quality and ethos of Villa Nova. A division of the Romo Group, Villa Nova is a young and vibrant brand with the philosophy of creating modern and versatile fabrics and wallcoverings that offer affordable style. 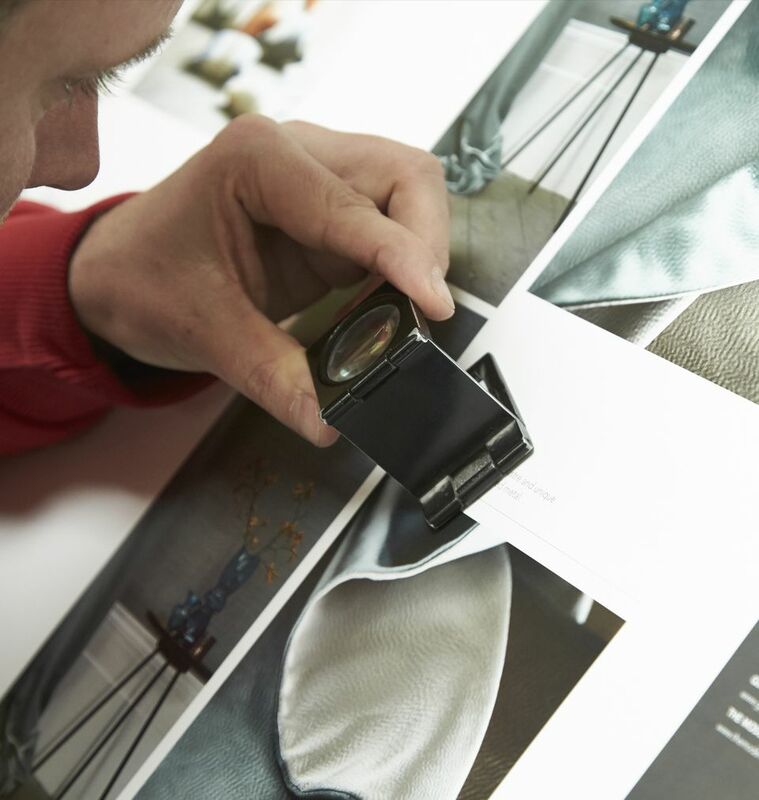 Colour accuracy is key when it comes to their marketing material so our prime roll is to ensure that all the images we manage faithfully represent their fabrics when printed. Photography, like print, relies on tricking the eye. Photography is created using only three colours (red, green and blue) rather than the standard four for print (cyan, magenta, yellow and black). Because of this difference, during the process of producing an image for print from a digital photograph, we need to manage any colour critical imagery in order to make sure that, when printed, the colour closely represents the original textiles. Years of experience in handling projects like this have helped us develop a successful, tried and tested process, using specialist in-house equipment and close relationships with a small handful of printers who are qualified and ISO certified to work to our exacting standards. Design-wise, working across brochures, pattern books, national press advertising and point of sale, our approach for Villa Nova is all about letting the products do the talking. We create clean, flexible frameworks and use colour palettes that harmonise and support the presentation of the fabrics. We create clean, flexible frameworks with colour palettes that harmonise with the fabrics, but dont distract from them.